Chris Anastasi was appointed in August as independent chairperson to lead the SPAA Executive Committee, and he has fully embraced his new role, already leading the committee through an exciting and changing period for SPAA. Chris Anastasi was until very recently Special Advisor for ENGIE Energy UK (previously GDF SUEZ). He had previously held the post of Head of Government Affairs, Policy and Regulation with ENGIE, having joined the Company in April 2010. His experience includes extensive knowledge of the energy sector and climate change and other environmental issues. He has acted as an expert and adviser in the industry and the corporate sector, most recently with EDF Energy and before that with Shell International. He has worked in academia, first as Senior Lecturer at the University of York and then Visiting Professor at the University of Maastricht. Chris has been a member of a number of Government Committees and Advisory Boards in the UK and elsewhere. 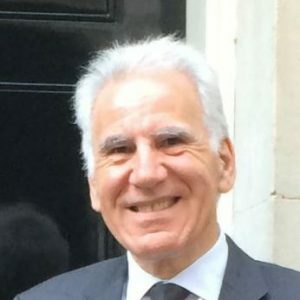 Until very recently, he was Vice-Chair of the Emissions Trading Group and was a member of DECC’s Projections Advisory Board and UKERC’s Advisory Board. The Supply Point Administration Agreement (SPAA) sets out the inter-operational arrangements between gas suppliers and transporters in the UK retail market. These arrangements include policy regulations, governance services and assessing the impacts of changes across the gas industry, and more recently, dual fuel governance solutions for the gas and electricity market.